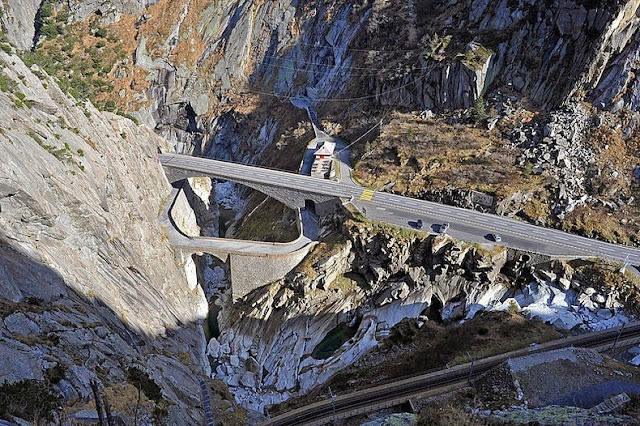 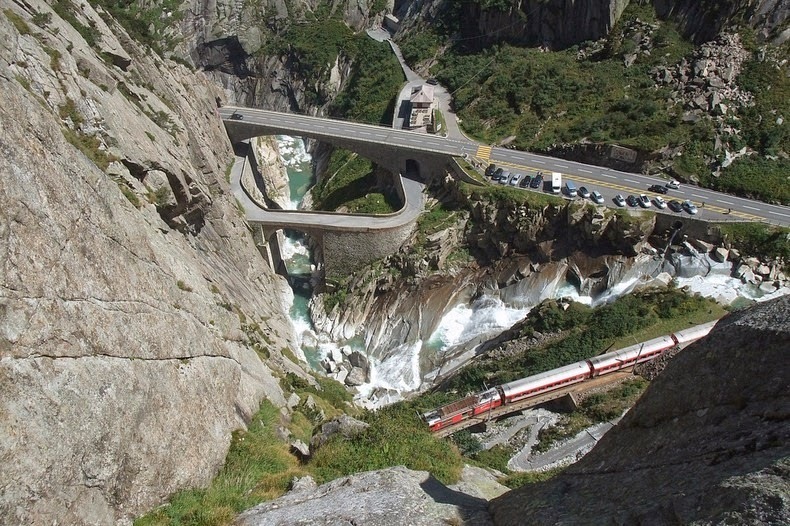 The old Devil’s bridge (below) and the new Devil’s Bridge (above) and the Matterhorn-Gotthard Railway. 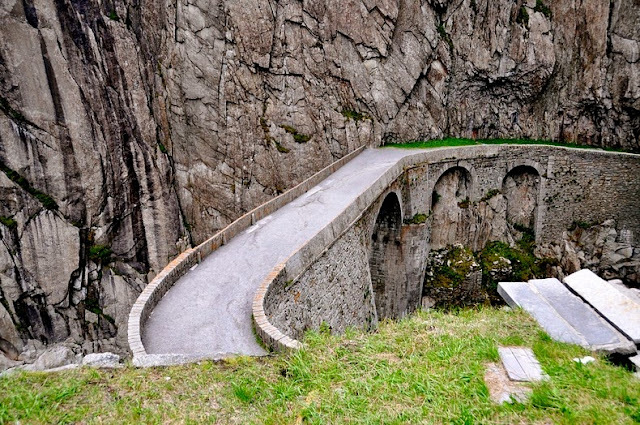 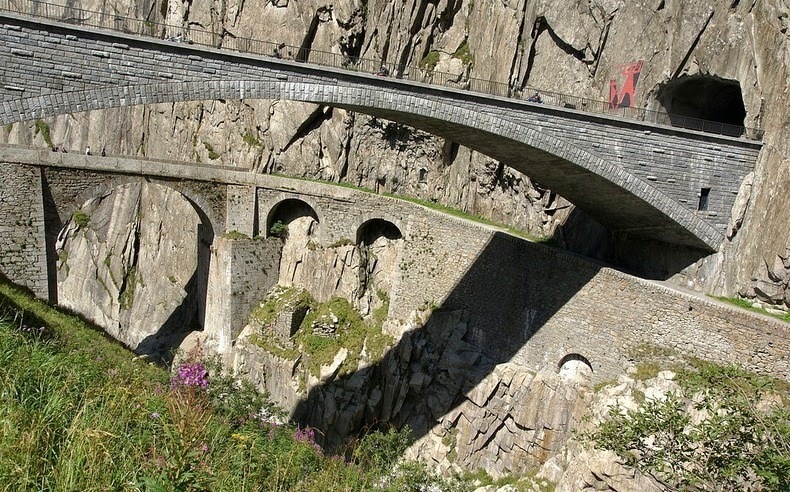 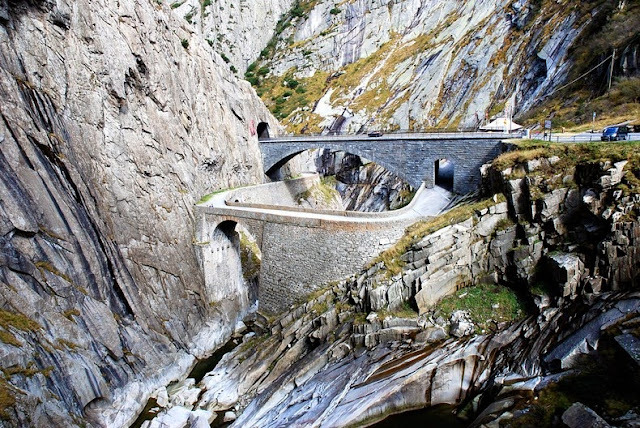 The Devil's Bridge in the Schöllenen Gorge on the Way across the St. Gotthard Pass with a Mule Train, before 1805. A painting by Swiss painter Peter Birmann (1758 - 1844). 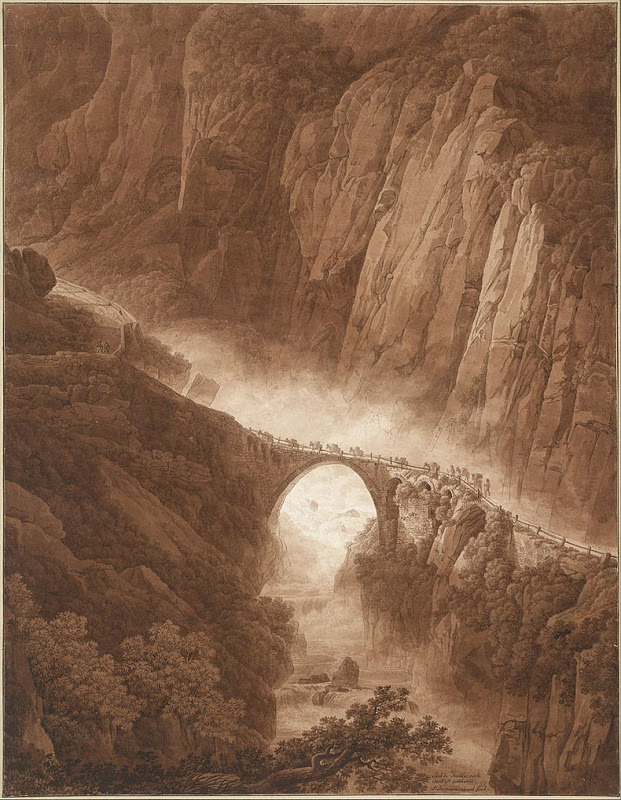 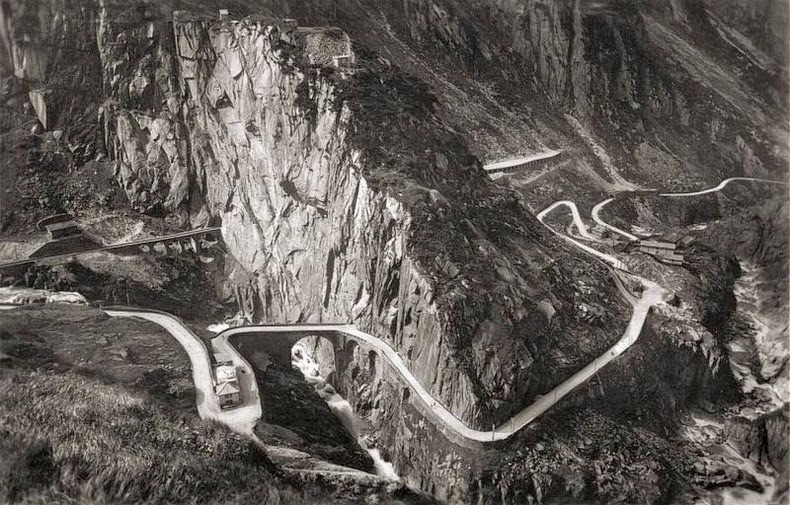 The old devil’s bridge in a 1934 picture of the Schöllenen Gorge. 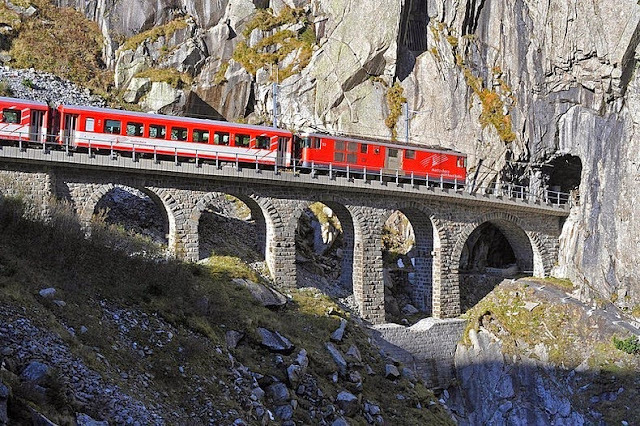 Leaning bridge of the Schöllenen railway near the devil's bridge.